takes off from work on this day! Read more about this festival called Nag Panchami, which is celebrated mostly in west Bengal, Maharashtra and South India during the monsoon season – the months of July/ August. Naga, Naaga means snake, serpent. On the fifth day of the bright half of Shravan, Nagapanchami the festival of snakes is celebrated. Snake worship is more common in peninsular India than in the north. In Maharashtra, snake charmers go from house to house with dormant cobras ensconced in cane baskets, asking for alms and clothing. Women offer milk and cooked rice to the snakes and gather around to see the snakes spread their hoods to the tune of the pungi, a peculiar wind instrument, played by professional snake catchers. Clay snakes are brought home to be worshipped by day and immersed in the sea in the evening In Maharasthra, this festival heralds the arrival of Ganesha, almost exactly one month later. Tourists from around the world converge on a little village in south Maharashtra - Battis Shirala - for this festival. Here the world's largest collection of snakes can be seen. 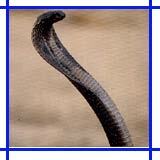 Serpents are worshipped on Shravan Shukla Panchami. On this day, on both the sides of door 2 idols of serpents are made of cowdung. In this vow, on the Chaturthi day one should take food only once a day. One should fast on the Panchami day and should take food only in the evening. One should make an idol of a 5 hooded serpents of silver, gold, mud or wood pens and using Turmeric and Sandal wood pastes as ink. On the Panchami day porridge, Panchamrut (milk, curd, ghee, honey and sugar), lotus flowers, incense etc are offered and the god is accordingly worshipped. In serpents, Ananta, Vaasuki, Shesh, Padma, Kambal, Karkolok, Ashvatar, Dhifrashta, Shankpal, Kaaliya, Takshak and Pingal these 12 serpents are the most important ones. Every month one serpent is prayed and worshipped and the (Brahman) person who performs the worship, should be offered food. On the day of Nag Panchami the Brahmin should be offered cows and gold. Some also offer a silver serpent on betel leaves. The person who performs worship of the serpents on Panchami day should not dig the ground. By observing this vow, one is freed from the fear of snakes and serpents and earns plenty of money. The serpent is the little brother of the Dragon !